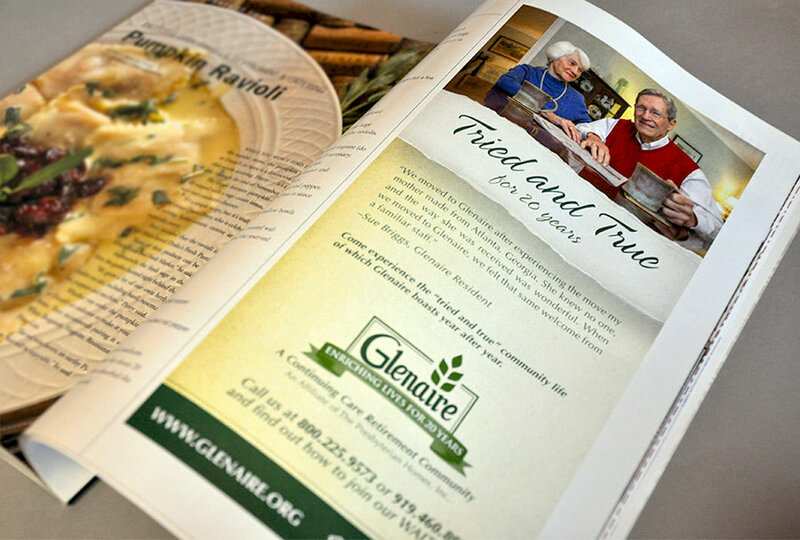 Glenaire is an accredited, Presbyterian-sponsored continuing care retirement community located in Cary, N.C. With an optimal location and newly renovated homes, Glenaire offers an independent, rewarding and fulfilling retirement lifestyle with a full continuum of care. 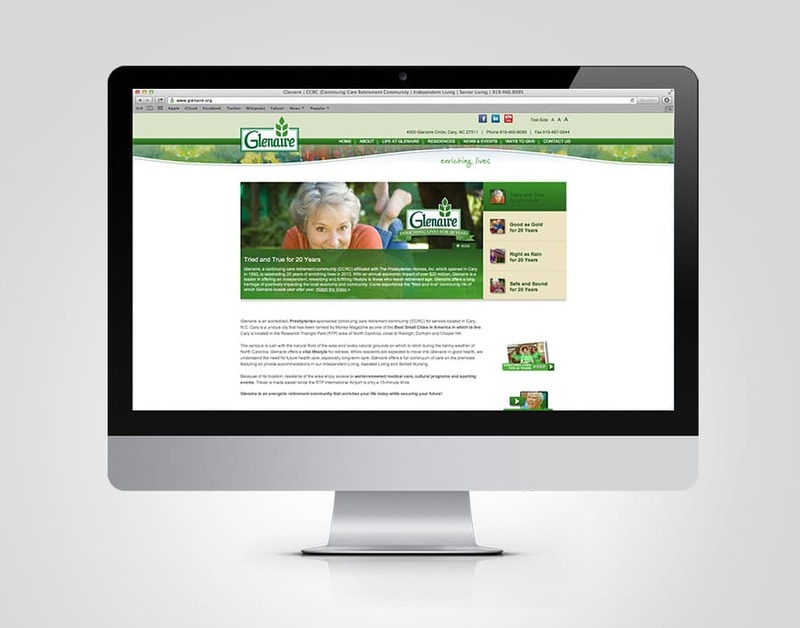 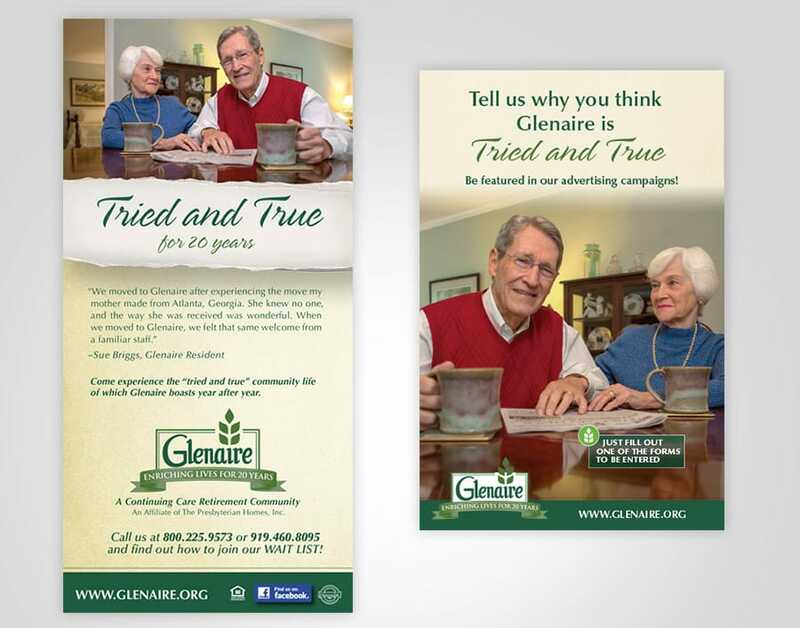 Glenaire lacked a consistent brand image and needed branding standards and best practices put into place. 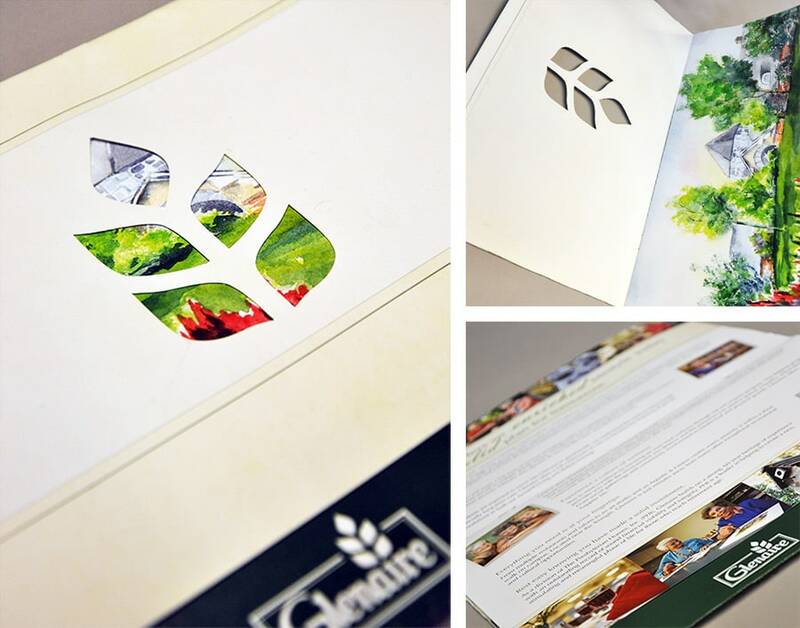 They also needed a unique positioning concept that would differentiate them from their competition. 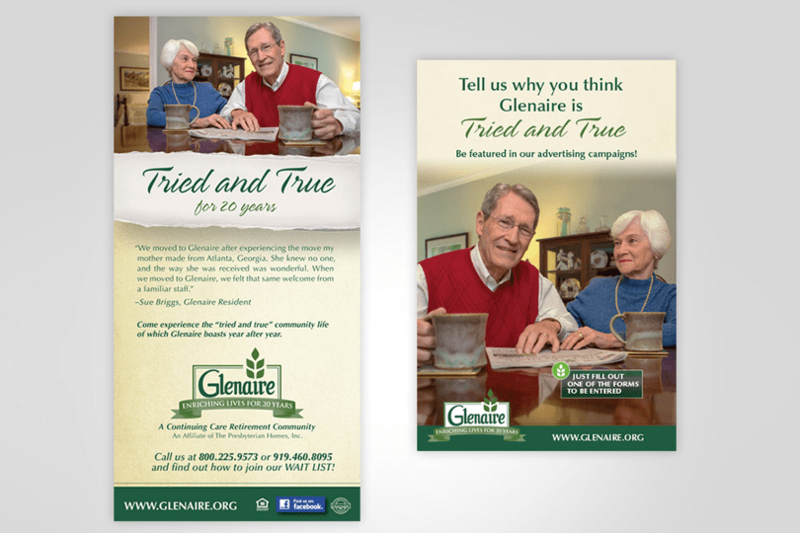 Hummingbird brought consistency to all of Glenaire’s inward and outward facing communications. 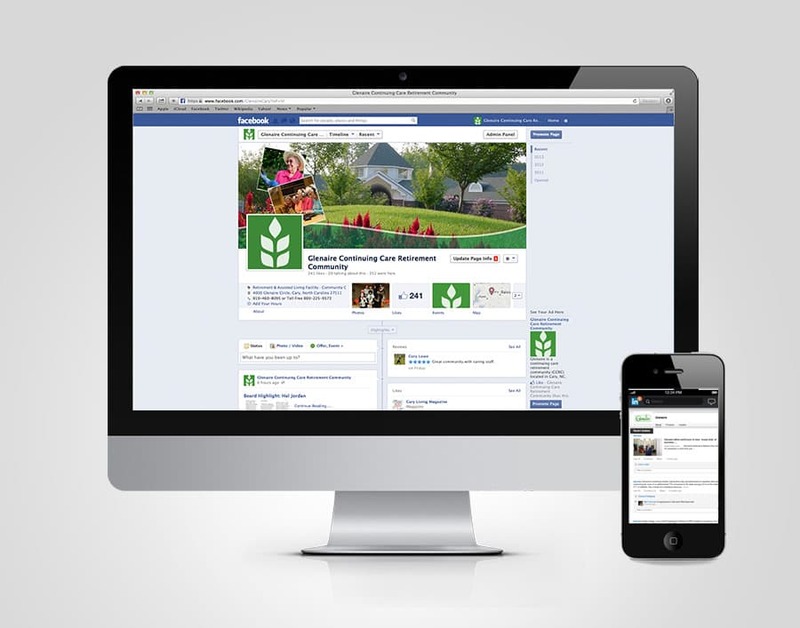 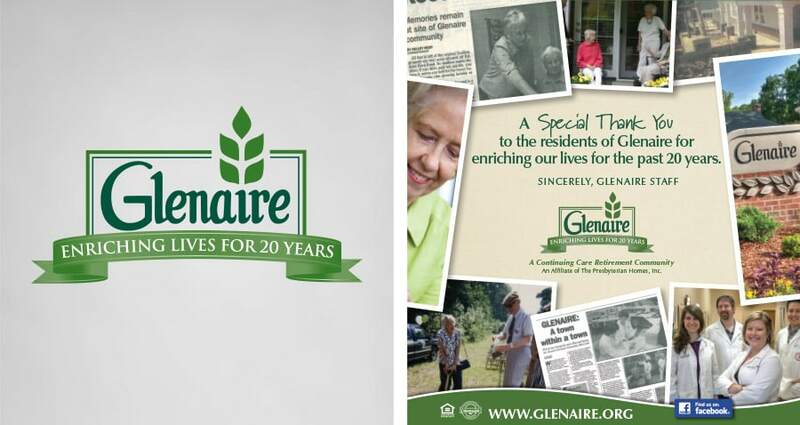 Design concepts played to Glenaire’s friendly and resident-driven corporate character by incorporating part of a resident’s painting as a graphic element, as well as incorporating a curve element to tie the community’s branding into The Presbyterian Homes, Inc.’s corporate branding.